Investors should not trust the mainstream drummer. They must step back, think and consider. If they have thought about the current state of affairs, they know that serious challenges exist. What will they do with that knowledge? Statistics show that, like investors in general, the majority of advisors talk and act as a group. It’s the ‘safer’ path. Therefore, a financial advisor’s advice will be composed of mass fodder, missing out on the best opportunities and strategies available, even under the special circumstances we live in today. Most financial advisors deal with paper assets; buying physical gold moves money away from a financial advisor’s management, eating into their fees and commissions. But these are not standard times, so investors must look elsewhere to find solutions. They must consider adjustments not only to the investment allocation side of things, but also to the structural setup they currently have. When big empires stumble, it is not just financial markets that go sour. There are other challenges too, ranging from the various forms of financial repression to more taxes, litigation, social unrest and war. 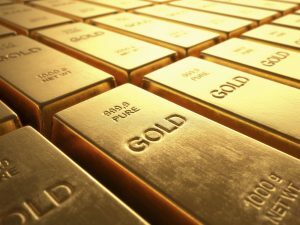 Even a trusted financial advisor—someone who may be an expert in stocks and bonds—might prove useless when it comes to giving realistic, qualified advice on buying gold, or setting up a trust and asset protection scheme, or combining that with a compliant and globally diversified investment strategy. A local advisor will tend not to have any such measures on hand. Investors will need to look and reach out elsewhere for that. Special times require special measures.